Your adoption of an American pika will help ensure that the ‘Eeep!’ of the pika will continue to ring out across our Colorado mountains. Rocky Mountain Wild is using citizen scientists, in our Front Range Pika Project, to help us gather much needed data on the effects of climate change on the American pika. This data will allow us to find out whether pika are vulnerable to climate change and inform strategies to mitigate the potential impacts of climate change. Recent research predicts that pikas may be extirpated from Rocky Mountain National Park (RMNP) during this century under some climate change scenarios. This year, we’re looking to expand that research to cover not just the Front Range, but several other parts of Colorado! Adoptions only cost $35.The Adopt A Pika project helps us to fund our pika field research, train citizen scientists, and develop conservation strategies for the protecting this amazing little critter. 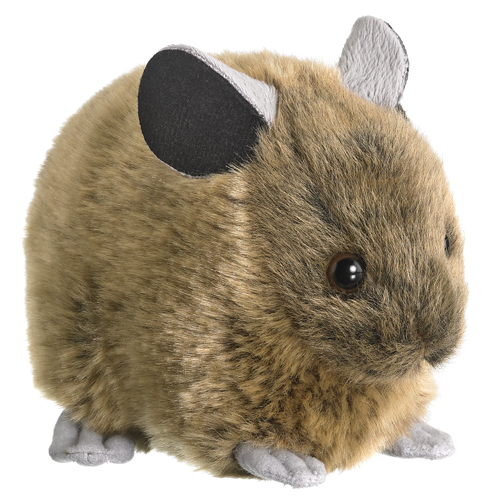 Pika adoptions include an adorable American pika plush animal and a personalized certificate of adoption. And the plush pikas are stuffed with a sustainable fill from certified 100% recycled PET bottles! A huge thank you to our pika parents! The Front Range Pika Project is a partnership of Rocky Mountain Wild and Denver Zoo.